Besides being a pharmacy, we have a good selection unique and relevant services. We are committed to providing a great experience for you. If you have any questions please call us at 347-915-2828. We accept all major insurance companies. If you have a question about your carrier, please give us a call. MG Pharmacy is board certified to accept WIC Checks. Our focus is serving those in need. We fill all prescriptions In-Person, Fax and Electronic. Call us and we'll get it done quick. Just tell us which pharmacy and we will transfer the prescription for you. Let us do the work . We have a Copier & Fax machine. If you need to copy of fax any documents we can get that done for you. No insurance? No problem. We have selected general stock for as low as $9.99. Call or stop in our locations for details. Need to hop on the internet and print something? No problem. Need to print a resume from a Flash Drive? No problem. We offer senior citizens a 15 percent off discount. Copays too high? We can help. Give us a call for details. We are experts in specialty drugs. HIV/AIDS, Cancer, Asthma/COPD, Diabetes, Psychotropic, ADHD and more. MG Pharmacy has a Notary Public on staff that can provide those important services any day of the week. Stop in and ask. We carry a lot of relevant items for your convenience. Vitamin supplements, cough drops, OTC medicines and more. We have a nice selection of surgical supplies. Please stop in and ask our staff to see our selection. MG Pharmacy can check your blood pressure on the spot. Come stop by for a full consultation. We offer counseling as well. MG Pharmacy also offers counseling in Diabetes, Cholesterol and Vitamins. Come ask our staff how we can help. 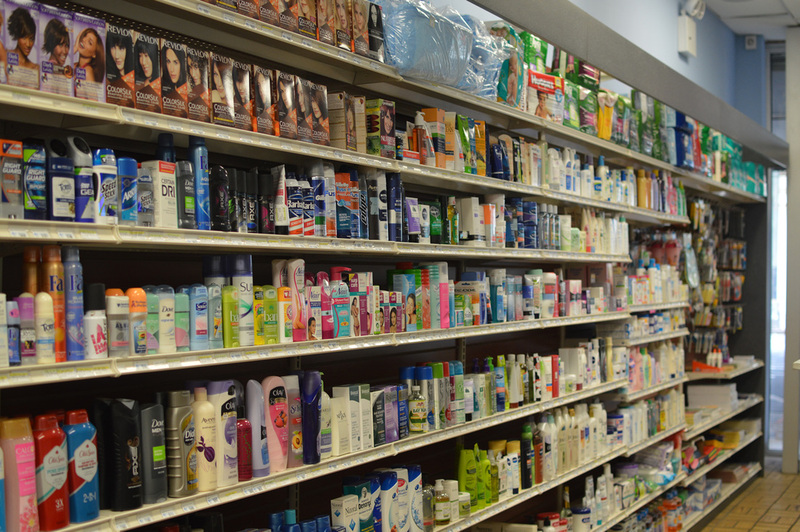 We have a large selection of personal healthcare items from feminine products to adult health care products. It's important to keep up to date. We will be posting, on the regular, blog content that will go a little more in depth on some topics. If you're interested in having your prescription delivered, call us at 347-915-2828 for details. Besides English, we also speak Spanish, Russian & Arabic. It's important for us to be multi lingual.